Efficiency, health and safety, and animal welfare are the big winners at the $12 million redeveloped Dalby Regional Saleyards. 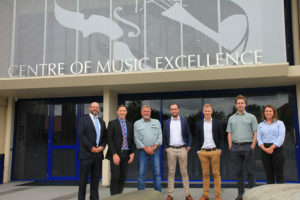 Stage one of the new complex, which is owned by Western Downs Regional Council, opened the gate on its first drafting session last week. Designed and constructed by Queensland engineering firm Wiley, the improved saleyards are considered a breakthrough for the industry. “The completion of the first phase is a crucial milestone in the overall delivery of the Master Plan and redevelopment of the Dalby Regional Saleyards,” said Michael Matthewson, Wiley Senior Process Engineer. “This project will take the industry to a new level in occupational health and safety, animal welfare, biosecurity and environmental compliance,” he said. “Now, the new pnuematic draft system allows them to process up to 300 head per hour,” he said. Mr Matthewson said the saleyard’s custom design significantly reduced the safety risks for workers and greatly enhanced cattle comfort. 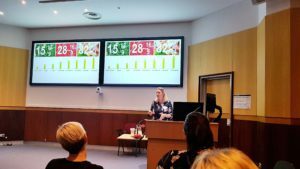 “The occupational health and safety risks are practically zero now and we have set a new benchmark for animal welfare in Australia if not the world,” he said. “This upholds the belief that animals should have freedom from hunger and thirst; discomfort; pain, injury and disease; fear and distress; to be able to express normal behaviour,” he said. Wiley Project Manager Jon Martin attended the first drafting session to witness the new complex in action. “The vendors were pleased with how well presented their cattle were in the new space,” Mr Martin said. “The covered yards and soft floor coverings help to keep the animals cooler and less stressed,” he said. 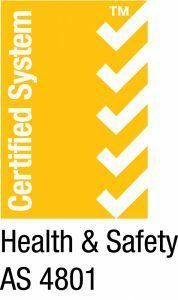 As well as cattle and patron comfort, the new complex excels in biosecurity and environmental compliance. Control of stock and personnel access has been improved plus data and traceability records and storage, and capability to maintain numbers of cattle in a National Livestock Standstill. The facility’s environmental credentials include sprinklers to reduce dust, stormwater and effluent control and a waste management plan that involves composting. The design also allows for the future implementation of new technologies such as real time sales data, smart device interface and eSelling. “The ability to integrate new technologies as they become available is vital to the future viability of any saleyard,” Mr Martin said. The project has involved approximately 2,500 hours of consultation with more than ten key stakeholder groups to develop the engineering brief for the design. Council Spokesperson for Planning, and Saleyards Advisory Committee Chair, Councillor Ray Jamieson said the saleyards played a significant role in the local economy and the upgrade was essential to meet industry expectations and demand. "The saleyards in Dalby is arguably the largest single day cattle selling complex in Australia, with more than 200,000 head passing through the saleyards each year,” Cr Jamieson said. 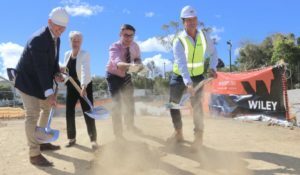 “It is a major hub of economic activity for Dalby and the greater western Downs and supports many associated businesses such as transport, vendors, livestock agents, sellers, and buyers," he said. "It was rewarding after so many months of work by the Committee and Wiley to stand under the new roof and experience the first drafting session. “It’s clear the new and planned improvements will bring the saleyards up to modern industry standards and drive the region’s livestock industry forward into the future." Wiley has already commenced the design phase of the project’s second stage which will include extra undercover receivals and automated drafting facilities. Construction is planned to commence in early 2014.